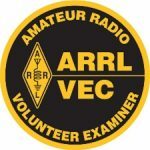 Volunteer Examiner Coordinators across the US are continuing to receive paperwork from Amateur Radio exam sessions held during the partial government shutdown. While it’s still possible to access the Universal Licensing System (ULS) and file applications, the FCC is not processing individual, club, and exam session — new and upgrade — Amateur Radio applications. The FCC closed most operations on January 3, when available funding ran out. According to the FCC public notice, aside from a few emergency and auction-filing systems, all other Commission electronic filing systems will be unavailable to the public until normal agency operations resume. This entry was posted in Important FYI by N3LRG. Bookmark the permalink.